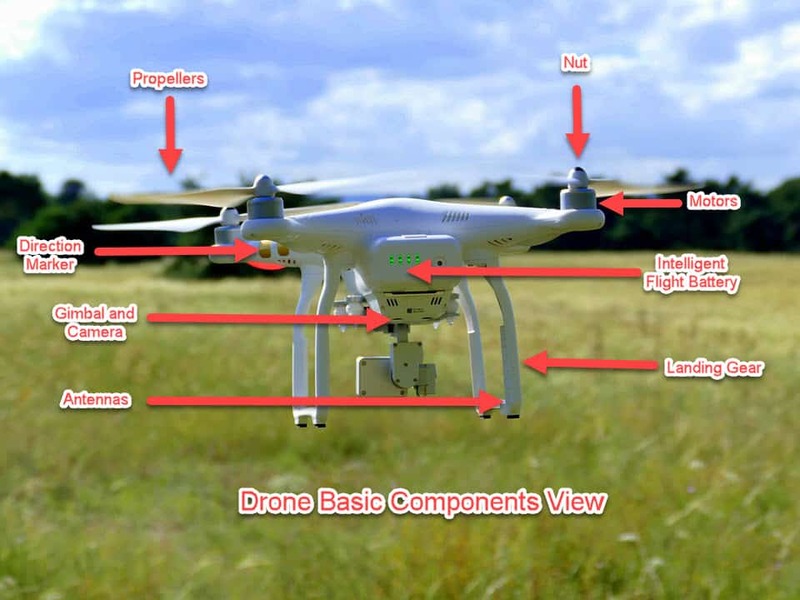 When it comes to learning how to fly a quadcopter or drone, you might feel put off by all the seemingly difficult technical jargon used to explain types of drones and their operation. Drones, first utilized by the military, are becoming more commonplace in our airspace, and are increasingly available for purchase online and in stores. Understanding your drone components, what to look for in a drone, the materials needed, and choosing the right price point of your drone, can all be learned with a little time and effort. We plan to cover all these points to ensure your time learning to fly isn't more frustrating than fun. What to look for in a beginner drone? What is the best quadcopter to learn to fly? If you are new and looking to learn to fly a drone, you may quickly get overwhelmed with the all the acronyms and terminology surrounding drone technology. Below are some of the commonly used terms to help you understand the basics of the hobby. ​An unmanned aircraft that may be remotely controlled or that can sometimes fly autonomously. A quad-copter is a type drone. ​Uses lift generated by wings that rotate around a mast, basically any aircraft that obtains its lift from r﻿﻿otors. A rotocraft with more than two rotors. 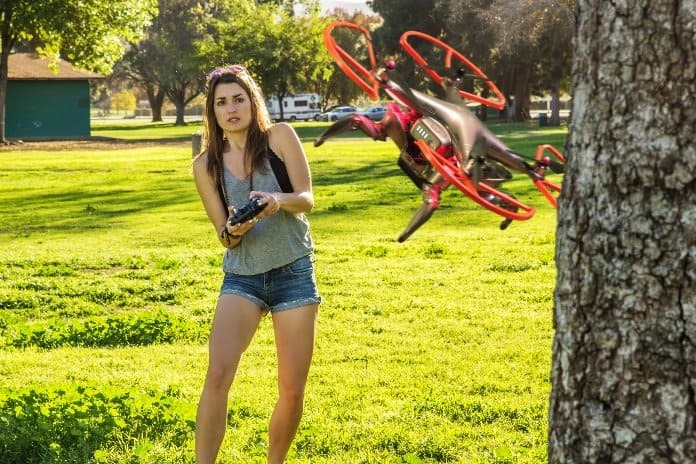 Some examples include tricopter, quadcopter, hexacopter and octocopter. Another term that covers all drones, a type of aircraft that has no pilot on board. This a term used to describe a drone that is controlled by four rotors. ​Produce thrust that allows aircraft to lift and maneuver. ​Used by the pilot to control the aircraft remotely. Buttons on the Remote Control that can be used to make adjustments to the pitch or yaw for example.​ Often used to stabilize and keep aircraft level. Aircraft is visible to the pilot with the naked-eye. ​This is a feature where the drone will end its flight and return to its original launch location. 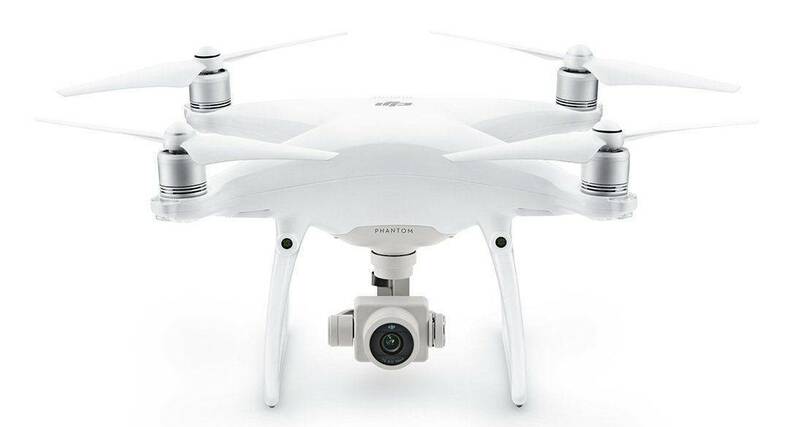 ​This feature allows the pilot to lock the drone’s direction and movement onto a moving target. The drone will then automatically follow that target without any the pilot guiding controlling it. This mode can be particularly useful for photography and videography. ​A gimbal uses allows helps to keep your video recording device stable and fixed. A good gimbal can help you to get smooth video out of your drone. If you are looking to do any professional level drone photography this feature is a must have! This so called headless mode allows the pilot to operate the drone without worry about the orientation or which direction the drone is facing. This basically means that the drone will follow controls from your perspective at all times. A right command from your perspective, would activate a right turn, still from your viewpoint, and vice versa. The tilt of the drone or quadcopter forward and back​. The tilt of the drone left or right​. There are 3 main styles of drones that are available on the market. 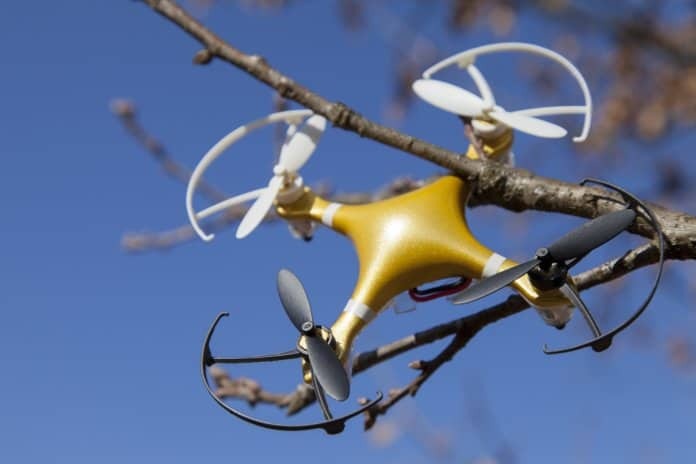 These drones are commonly abbreviated as RTF, BNF, and ARF. RTF stands for Ready-to-Fly. RTF drones are great for beginners, as they are pretty much ready to go once out of the box, provided you insert a charged battery first. RTF drones do not require pre-assembly or complex programming before being able to fly it, which takes a lot of pressure off a beginner. ​ARF drones are for experienced operators, who enjoy the challenge of programming and building up their drone to their unique specifications. ARF, or Almost-Ready-to-Fly drones usually come with parts missing, like the motor. If you like customizing your drone or testing out and tweaking drone features, once you pass the beginner's curve, buying an ARF makes for a fun project. An ARF model can really allow you to let your imagination run wild, and test your technical savvy about how much you really know about building and flying a drone. This type of drone is not recommended for beginner. Controllers can vary a great deal from each other depending on make and model. 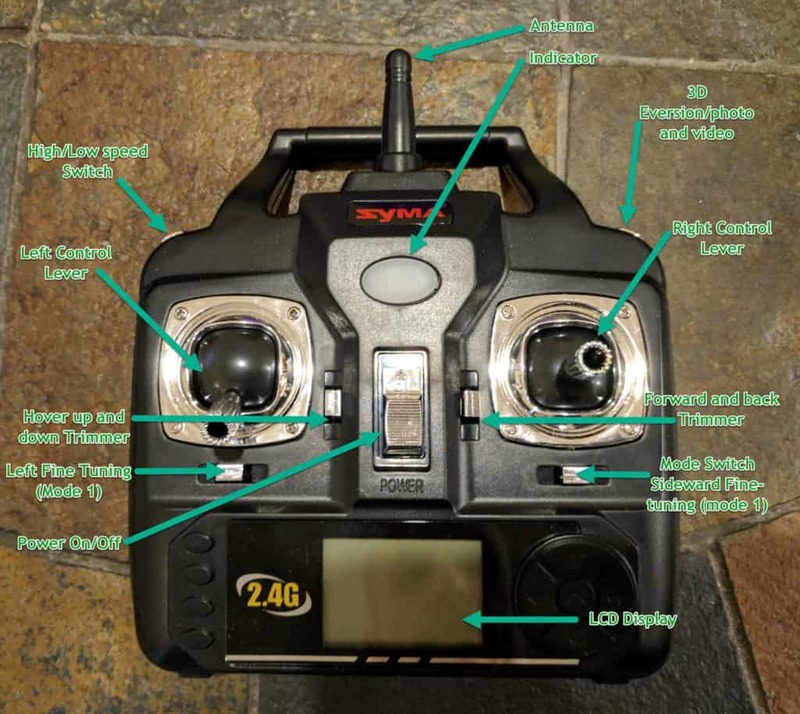 There are some basic controller components such as left and right stick, Trim and antennas that are common across many different drone types. With enough flight time and practice a controller can become an extension of you hands and drone flight second nature. Always consult your the manual for your specific model to become familiar with the layout of your transmitter. ​As you may have guessed by the name, brushed motors are equipped with brushes that are fixed inside the case and spin when current is supplied to the motor. It is this spinning of the brushes making contact with the motor shaft that causes wear and tear on these motors . With brushless motors there is much less friction and energy loss, which would slow down the motor like the brushed motors. Brushless motors are quieter and require less maintenance. 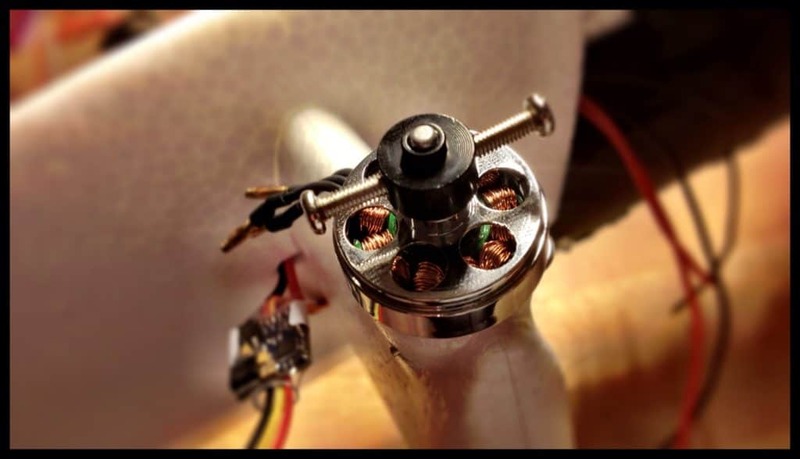 Brushless drone motors are more expensive to buy and the wiring can be a tad more complicated. The brushless motors also typically use more costly ESC's or Electronic Speed Controllers. The ESC, or electronic speed controllers (pictured to the right), are necessary for varying the speed of the electric motors within your quadcopter. The ESC contributes to power distribution and acts as a brake to the motors and drone. The flight controller is central to the function of flying your drone, responsible for regulating motor speed, steering, controlling autopilot, and communicating with the receiver, battery monitor, sensors, and GPS. 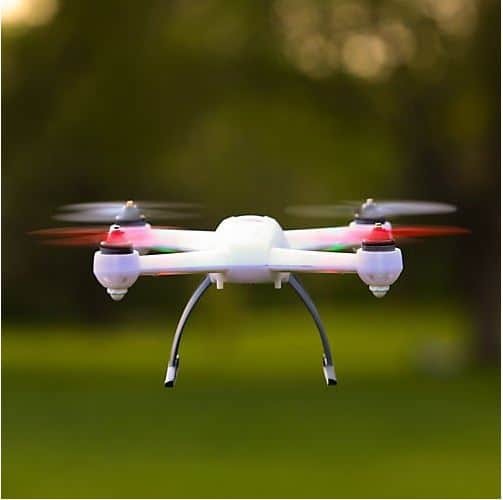 Thanks to GPS, most drones can be programmed to have a “fail safe” home point, which gives your drone a safe place to return, in case contact with your remote control is unavailable. ​Flying your drone in restricted airspace such as within 5 miles of an airport can you get you into serious trouble. Keep in mind if you are an experienced drone pilot and are comfortable, you can contact the airport and let me them know that will be flying within 5 miles of the airport. Being knowledgeable about when and where its legal to fly a drone is key to a safe and legal flight. When figuring out how to fly quadcopter drones, or a UAV, you want to choose an area that is wide open with few obstacles. An clear empty field makes a great place to fly a drone and will also allow you to maintain line of sight to your drone. Flying your drone when the weather is good, with little wind and sunny conditions will provide you a good start for getting the learning curve of your new RTF down. You can fly your drone in areas where it is acceptable to do so, provided you follow all local laws. You do not want to fly over private property and keep to a distance of 25 feet away from individuals and property. You definitely want to alert your local airport and flight control center if flying your drone within a 5 mile distance of such operations. Choose safety first, by avoiding flying your quadcopter in poor weather conditions, or under the influence of controlled substance. The Academy of Model Aeronautics, or AMA, conveniently offers a list of airspace locations where you can enjoy flying your drone. ​The Federal Aviation Administration has an app called B4UFly that will notify you if you are in a restricted area for flying, such as within 5 miles of an airport. The app also has maps with areas marked that are restricted. A "planning mode" allows you to check flight requirements and restrictions for a specified time and location. Disappointingly, even though the app has the potential to be very useful at this point in time it is simply slow and full of bugs. Until the app gets some major updates, we just can't recommend this app at this time. The transmitter for your drone, is critical to the operation of your quadcopter. 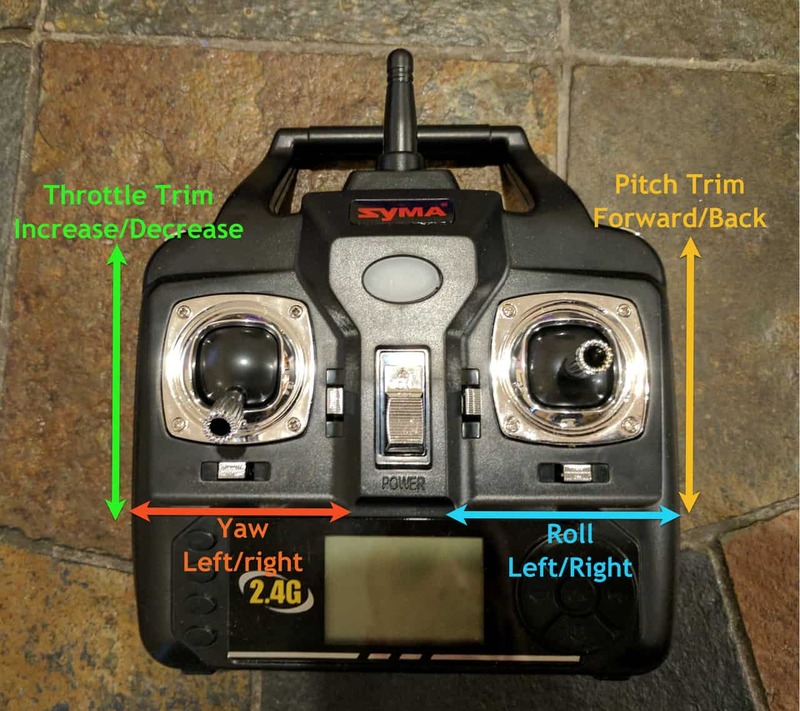 Outfitted with two joysticks, the right joystick controls the “Pitch” and “Roll,” while the left controls the “Yaw.” Roll describes moving the drone from side-to-side and pitch describes forward and backward. 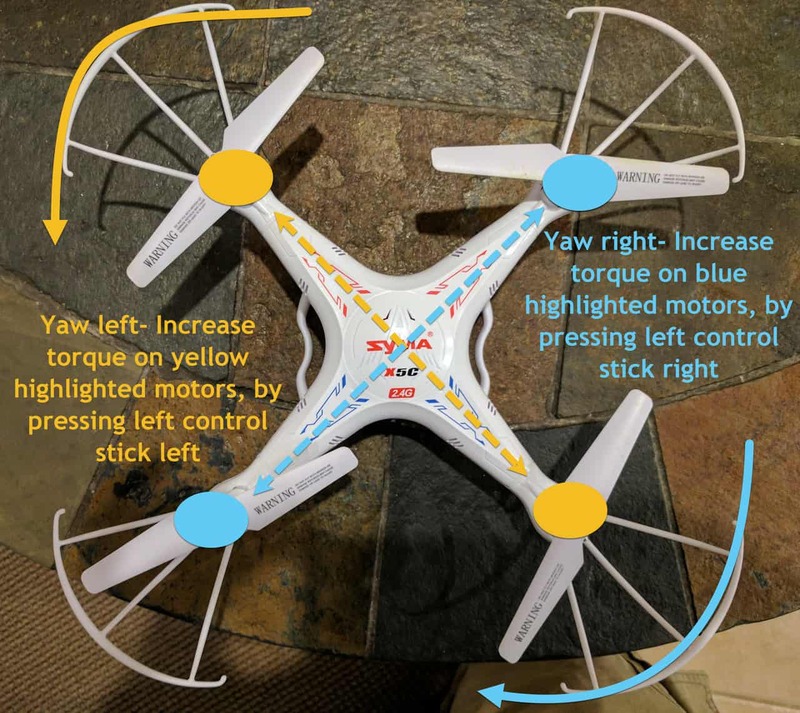 The Yaw depicts the counterclockwise or clockwise movement of your UAV, and the throttle, or up and down movement. The throttle will always be engaged while flying your drone, otherwise the drone will lose power and begin to descend once you take the throttle off. 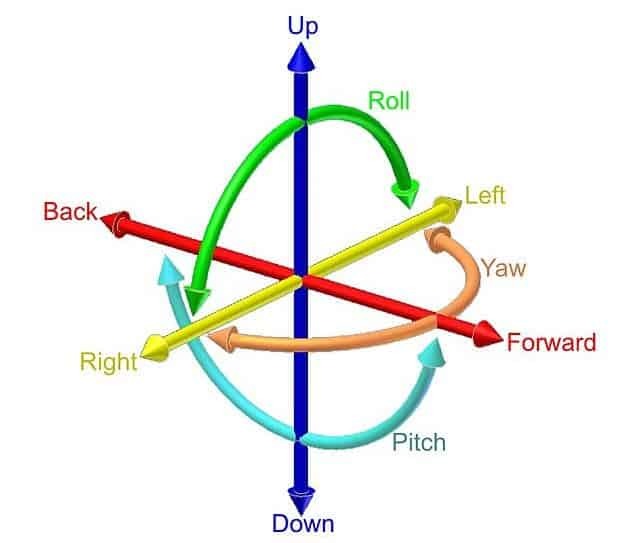 Below is a simple diagram that shows how the controls relate to Yaw, Pitch and Roll. To get your quadcopter off the ground you will want to slowly press the left control stick away from you until the propellers lift the craft about 5 feet off the ground. Slowly pull the left control stick back toward you to gently land the aircraft. Rinse and repeat until you get a feel for the sensitivity of your quadcopters throttle. ​One thing a beginner to drone flying needs to do, is get very good at practicing your rolls. Accidents usually happen, because of lack of control of how far to the right or left one is flying your drone. To roll your quadcopter to the left, simply press the left control stick to the left. The RPM on the two right motors will increase, sending the quadcopter into a roll to the left. ​Repeat the process and learn to roll the aircraft to the left. After you get the roll down, you need to focus on your pitch technique. Pitch determines whether the UAV flies forward or backward. This is especially important if you want to fly your drone without having the Point-of-View of the drone in real time. To pitch forward you simply press the right control stick forward, increasing the RPM's on the rear two motors. Practice pitching your craft forward away from you (right control stick forward) and then pressing back on the right control stick bring the craft back to you. Practice this simple training technique until it feels natural. Drone yaw can be one of the more confusing terms for newbies to grasp. Yaw is simply clockwise or counterclockwise rotation of the UAV. The yaw will help you control how much spin your drone has while in the air, and this feature is great for tracking objects or adjusting drone position. ​Below is an illustration showing how torque on opposing motors controls left and right yaw. ​After you get the basic controls down, its time to practice hovering your craft. Getting the hang of hovering your UAV will help you get a good sense of flight control, in order to take steady photos or video, and assist with landing. The threat of drafts is always present when flying your drone, so start out practicing hovering your quadcopter around 5 feet off of the ground. The closer your drone is to the ground, but not too close of course, the better stability and control you should have. Be patient when practicing hovering as falls can and do happen, but if your UAV is close to the ground, it should mitigate damage. You will really get the hang of flying your drone if you are willing to practice hovering to take a selfie, practice landing at different targets, and prepare yourself to handle a crash. The wind is going to win in a fight against you and keeping your drone in the air, so avoid bad weather, but be ready for wind gusts. Make sure you follow local laws wherever you are flying your UAV, ensure your battery and transmitter are both fully charged, and definitely make sure your propellers are secure and fastened. Always remember to turn off your quadcopter first, before you turn off your transmitter to prevent unfortunate accidents. It can be tempting to take your multi-rotor to the max distance or "see what it can do". Pushing too far too fast is a good way to end up with a crashed or lost drone. You should practice flying short distances to start out. Start out learning the main controls, practice taking the drone to the left, right, up and down at a safe, short distance. Do not try to see how high your drone can fly and pay attention to altitude limits set by your country. Below is a video going over many of the techniques we have explained so far. Seeing your drone about to nose dive into a tree or possibly worse a lake can be one of the worst experiences a drone pilot can face. If you happen to get your drone stuck in a tree, don't worry, you have many options to retrieve it. You may eventually crash your drone, however there are steps you can take minimize the chances of crashes and damages done to your drone. ​If you don't do anything else read your drone's manual. Too many times we have seen new drone pilots go out and fire up their new drone without even opening the manual. The pilot then experiences erratic behavior from the drone or what's commonly referred to as a "fly away". The pilot's drone fly's off into the sun set, never to been seen again. ​Make sure you check the weather before heading out to fly your drone. Not only do you need be concerned with fast moving storms, you also need to check the wind speed and direction. If you are flying with a light weight drone such as the Syma X5C the wind can make for very difficult flight. As discussed before, you will want to pick a wide open space, with little or no trees and few people. This will allow you plenty room for maneuvering and allow you to keep a good line of sight with your aircraft. Watch your flight time and make sure you have enough battery life to make your return trip. You should check your drone's manual to get an idea of how long your battery will last. ​Some drones will give you an advanced indication that the battery is about to run out. Ensure your propellers are secured properly and that none of them are damaged or worn. Also inspect the rest of the UAV and repair or replace any damaged parts before taking flight. 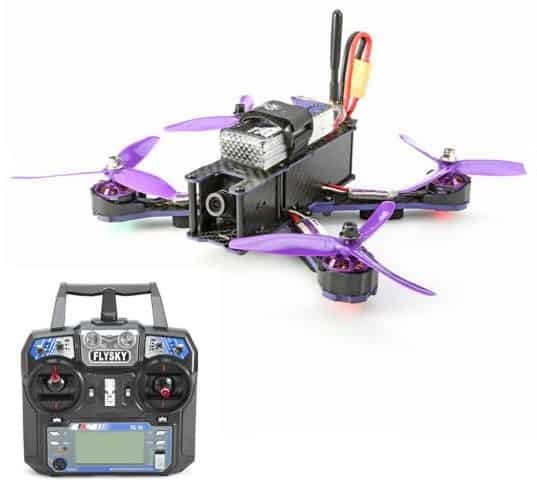 Fly away's can be caused by faulty hardware or software (firmware), however they are usually caused by a lack of pilot education and/or experience. For instance some drone's require a certain startup sequence. In some cases you must turn on the controller first and then power on the drone. Performing the startup procedure in the wrong order can you serious issues. ​What action to take in a crash depends on the individual situation. Pilot experience and the steps above are your best crash prevention tools. The more time you have taken to get familiar with your drone will pay off in these situations. If you see that your drone is going to crash, and there's no stopping it, turn off your throttle immediately. Once the throttle is off, damage will be lessened, because the blades will stop spinning. Remember every situation is different so use your best judgement. Definitely try to crash your drone into a nice soft patch of grass, instead of pavement, a building, or into a person. As a last ditch effort try using your return to home feature if you have it. As a beginner, you want to choose a RTF model that has a good combination of moderate price and ease-of-usability. The Syma x5c-1 is an excellent choice for someone new to the hobby. 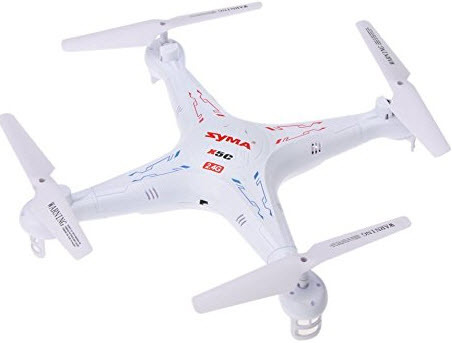 The Syma goes for around $50 dollars, has a great camera and will help teach you the basics of flight. Many average drone models have around 10 minutes of battery life, depending on the manufacturer and price point. A cheaper drone may cost you in the long run, but it is a good choice for a beginner worried about crashing a lot and who plans on using their drone indoors. Heavier drones are more likely to withstand a crash a little better than a cheaper, lighter weight model. When selecting a drone, as a beginner you want an RTF with a moderate weight and good battery life. Many average drone models have around 10 minutes of battery life, depending on the manufacturer and price point. A cheaper drone may cost you in the long run, but it is a good choice for a beginner worried about crashing a lot and who plans on using their drone indoors. Heavier drones are more likely to withstand a crash a little better than a cheaper, lighter weight model. ​It is possible to find a good quadcopter under $200. A typical RTF UAV is constructed with an X or H square frame, which lends to stability when operating your drone. Most quadcopters, thanks to its four propeller blades and four motors, are capable of carrying 1 to 2 pounds while in air, and can handle wind speeds up to 15 mph. 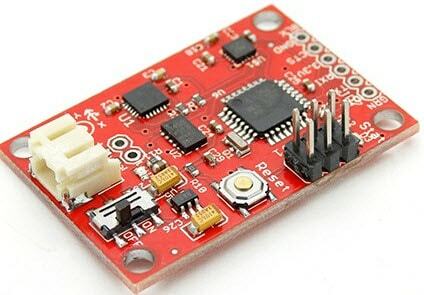 The accelerometer or gyroscope will help you measure your UAVs pitch, roll, and yaw. You may want to invest in additional batteries if going out with your drone for a long time, as most batteries for drones last 10 minutes. 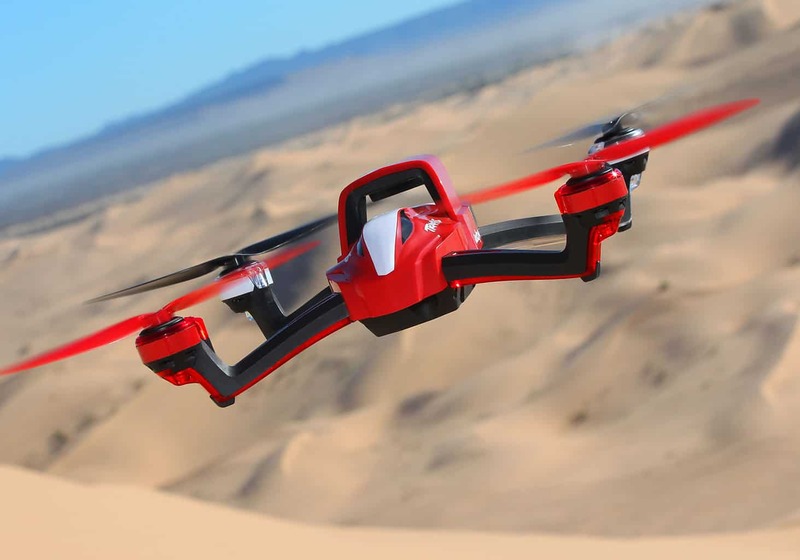 ​For more information about FAA regulations regarding registration and safe flying practices of your UAV, check out their faq section here. Online Time Magazine, gives a great overview about drones and touches lightly on how they work. Know Before You Fly, offers great advice for beginners, online . ​We hope this guide has been helpful and given you a place to start when starting out learning to fly a quadcopter. If your ready to buy your first drone we recommend you start here. Do you have any other helpful tips or trips for flying a drone? Please let us know in the comments section below.